The Volkswagen Wolfsburg Crest Club recognition program is intended to highlight the top performing dealerships and employees for their exemplary performance. It’s a privilege to be a member of the exclusive Wolfsburg Crest Club, and when a dealership offers outstanding sales and service, Volkswagen makes a point of celebrating it. Each year, these Wolfsburg Crest Club Awards are given for outstanding commitment, customer service, professionalism, service, customer care, as well as dealership milestones, such as highest sales in a region, highest certified pre-owned sales and more! 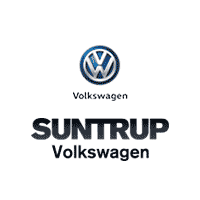 Suntrup Volkswagen has previously won this award for the first time; this year, representatives from Volkswagen presented VW with the Wolfsburg Crest Club Award trophy. We can’t wait for you to visit us to show you the benefits of what it means to be Wolfsburg-certified! As always, please let us know how we can help make your experience better. A: The Wolfsburg Crest Award is an award named for Volkswagen’s home, Wolfsburg, Germany. The town was originally created in 1938 to house the workers of the newly opened Volkswagen factories. It was named “Wolfsburg” on May 25, 1945, after an ancient castle in the town was demolished. A: To qualify for a Wolfsburg Crest Club Award, a Volkswagen dealership must display excellence in all areas of the business such as new vehicle sales, certified pre-owned sales, customer service, and offering an excellent experience in sales and service. Points are also awarded for Volkswagen parts sales, adherence to Volkswagen operating standards, and facility excellence. When a dealership is recognized for this criteria, they are inducted as a member of the prestigious Volkswagen Wolfsburg Crest Club. Q: What are some other facts about Wolfsburg that maybe interesting? A: New attractions like the Volkswagen Autostadt (a huge open-air museum dedicated to automobiles, owned and operated by Volkswagen) and an excellent private art museum (Kunstmuseum Wolfsburg) specializeing in modern and contemporary art, are also landmarks in Wolfsburg.